"The Boss" Sasha Banks has a message for "marks"
Sasha Banks tweeted a message to ‘marks’ on Monday after a chaotic week of reports and speculation about her future with WWE. 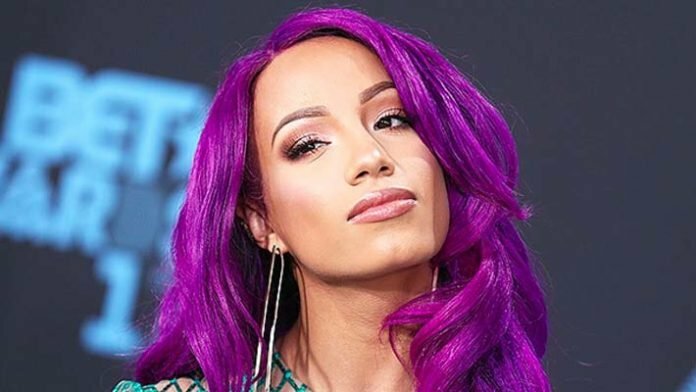 For a full recap of all the news about Sasha Banks last week, check out our roundup feature from over the weekend, What’s Going On With Sasha Banks? Ahead of tonight’s Superstar Shakeup, Sasha Banks tweeted a message stating, “If you only knew, ya marks!” The former Women’s Tag Team Champion tagged WWE brands Raw, SmackDown Live, NXT, NXT UK as well as independent promotions Progress and Evolve. If you only knew, ya marks! #Raw #SDLive #NXT #NXTUK #Progress #evolve #ShakeUp ? ? It will be interesting to where Sasha Banks lands after the Superstar Shakeup. More specifically, whether or not she remains on the same brand as Boss ‘n Hug tag team partner Bayley. Late last week, Raw and SmackDown Women’s Champion Becky Lynch called out Sasha Banks on Twitter. After an abrupt ending to Sasha and Bayley’s title reign, Becky Lynch’s latest challenge is a sign Sasha Banks could be shifting back to singles competition.